Snadar is a powerful drag-and-drop platform that lets you create web & mobile apps with fun and intuitive interface. No coding required!. 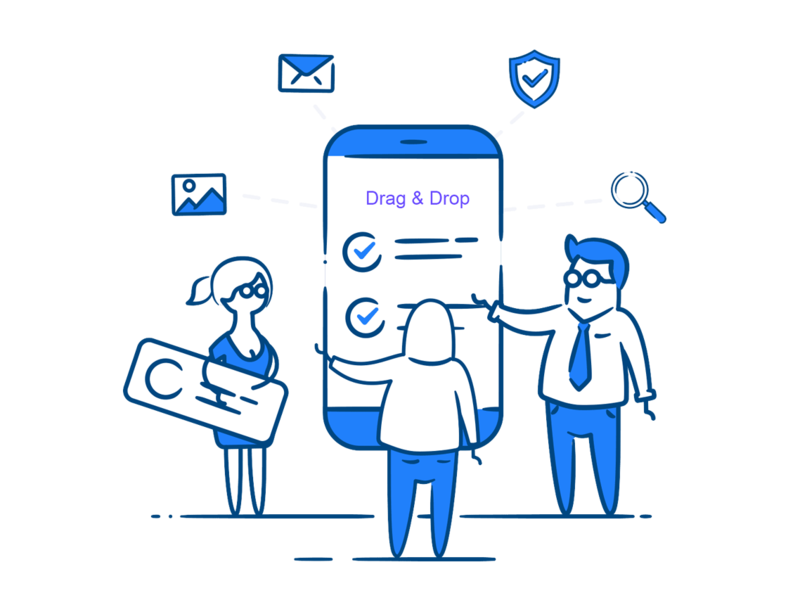 With SNADAR you have a robust web & mobile app Software that makes it Super easy to build Apps for Business while providing a tonne of cool Features to make building awesome apps as easy as Drag and Drop. The Power To Design A Professional App At Your Fingertips. Continue Using All The Marketing Tools You Know And Love!. We know how important it is to keep using all the tools that help you do your job. AppsBuilder integrates with your website or blog, popular social media platforms and more! Build unlimited apps from amazing features Meet the very first Application Builder made with More Custom Features like a True Developer ..
With Mobimatic SImple Drag and Drop and WYSIWYG Builder, Putting up your App Contents can only be limited by your Imagination. Jumpstart your App Creation with our Beautifully designed Template or simply build from scratch. Get all the Monetization tools to maximize your applications and your clients. Create once and obtain native apps for iPhone, iPad, Android phones and tablets, and a web applications. Promote your business, keep your clients loyal, retain your customers and increase your revenue using our awesome features. SNADAR that facilitates you to build your own custom applications as per your business challenges, No Coding Required Just Drag & Drop.